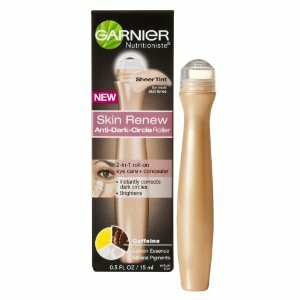 An interesting new product from Garnier – the Anti-Dark Circle Eye Roller. One of the ingredients to this product is CAFFEINE. The TV commercials show a really large coffee bean, although there is no mention of the caffeine actually coming from a coffee bean. The use of caffeine in this product may be the common association of being tired vs. being alert (caffeine).